Why are we married to the wrong person (or company)? Do any of these reasons sound familiar? Is it ok to substitute passion for stability? When it comes down to it, many people are willing to bypass the risk of unconditional happiness and passion for the reliability of comfort and safety. As you play these thoughts in your head, not all of you are thinking of this from the perspective of family, are you? This parallel transcribes into the workplace as well. The relationship between an employee and the company is a marriage. It is two mind sets coming together in a partnership to maximize benefit for both parties. For the employer, they are gaining expertise and knowledge breath that will contribute to the increased profitability and growth of the company. For the employee, they are gaining financial security and a sense of value. Then why are so many of us stuck in jobs we are not happy with? Is it fear? 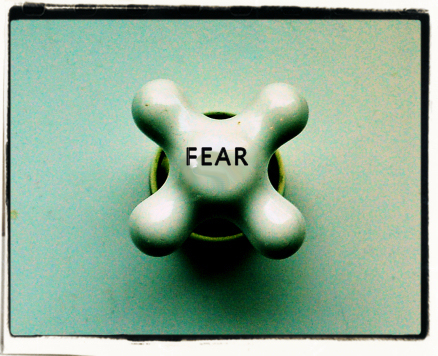 Fear is a driving force that catapults greatness. It is the fear of failure, the fear of being alone, the fear of change that has led the greatest minds to the innovations that has shaped the success of this planet. Why then do we continue to remain unhappy for the sake of a paycheck? Three hundred words in and we still do not have an answer. I think I have a few possible suggestions. 1.) Stop listening to the masses. We are being brainwashed by the media and entertainment industry to believe that money brings fame, fortune, talent and endless success. Can I be on “Dancing with the Stars”? Can I be the next “American Idol”? Maybe you can, but without stepping out of the comfort box those goals will only be a vision on Entertainment Tonight or Chelsea Lately. 3.) Be the person you always wanted to be. Write that screenplay. Go skydiving? Tell that person you have been watching for years that you love them? Be the great “YOU”! 5.) Rely on your support community. They will help you when you need it. 6.) Make a plan but don’t be afraid to stray away if you feel it is right. 7.) Finally, follow your heart and remember success is not about financial gain. It is part of it, but it is the impact you make on your self and others that will follow you for the rest of your life. Next Why does your company need a Google Corporate Profile Page? If you are not married to the one you love, what are you doing? If you’re not loving your work, what are you doing? Thanks for the great analogy!